Super Cutting file “Dschungel". You can download the File incl. the Instruction for Flex, Flock and Vinyl straight after purchase in the format .dxf and .svg. You just purchase the File – NOT iron on picture! Important: You will get a plotter file (.dxf or .svg). This is a digital file to use at a plotter. Refund or Exchange is not possible. When you purchase this File you disclaim your Right for Refund. I recommend to do an sample cut first. The Motive/The Graphic and the document as well as the content and the file itself are the intellectual property of DREIEMS. You are not allowed to sell the iron on picture. You can contact me for any commercial use. Industrial or mass production is ruled out. The mentioned terms are also for parts or alternated versions of the mentioned product. You will not get any rights on the graphic by purchasing this product. The Copy, Alternation and multiplication (in any way) is prohibited. If you want to use this plotter file for commercial use please send me a mail to dreiems@gmail.com with the request for a commercial license. The offered submittals are made with the best care I could and I tested it on my testing plotter. DREIEMS is not responsible for any usage errors. The exchange, change, give away or copy of the file is not permitted. 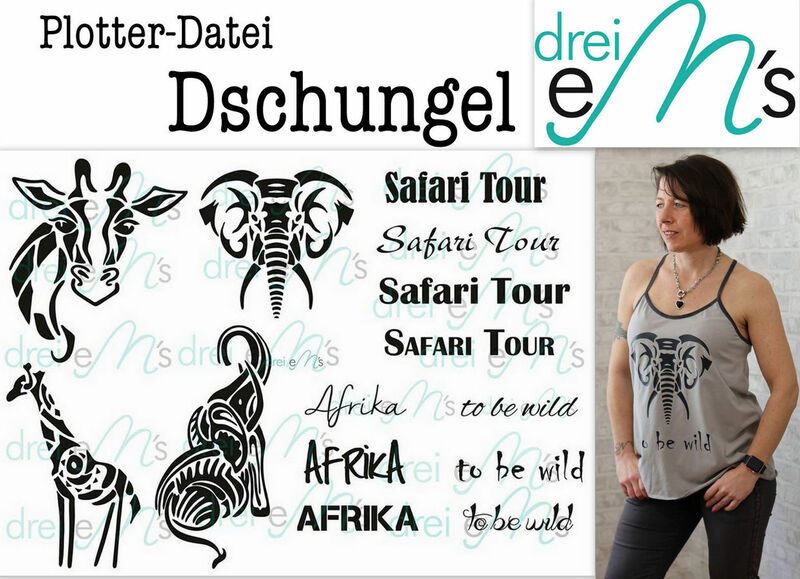 Idea and Design from DREIEMS(Manja Krafczyk) Have lots of fun with this file!! You will get an eBook in PDF Format for Microsoft Windows (> Windows 7) and Apple Macintosh OS X (> Version 10.6). To open this file you will need an actual PDF Reader, e.g. the Adobe Acrobat Reader Version 11 or newer. The eBook you can read and print. You get the File as PDF (Instruction) and .dxf or .svg format to download. Straight after the payment arrived you will get a download link where you can download the files yourself.